Sarah’s square looks like it’s knitted, but it really is crochet. By working only in the back-back and front-front loops you get an interesting effect. I was looking at the square and thinking, that looks like a big pile of rope nicely looped on a ship’s deck to me. What does it remind you of? When I was working the first square I quickly came to the conclusion that color is not going to work in this square. It is just going to be too much of a mess, hence both my Merino Soft Dancing in the Sea and Color Crafter Dancing in the Sea squares are all worked solo-color. Regarding hook sizes for this week, I went up one hook size relative to my gauge swatch this week. 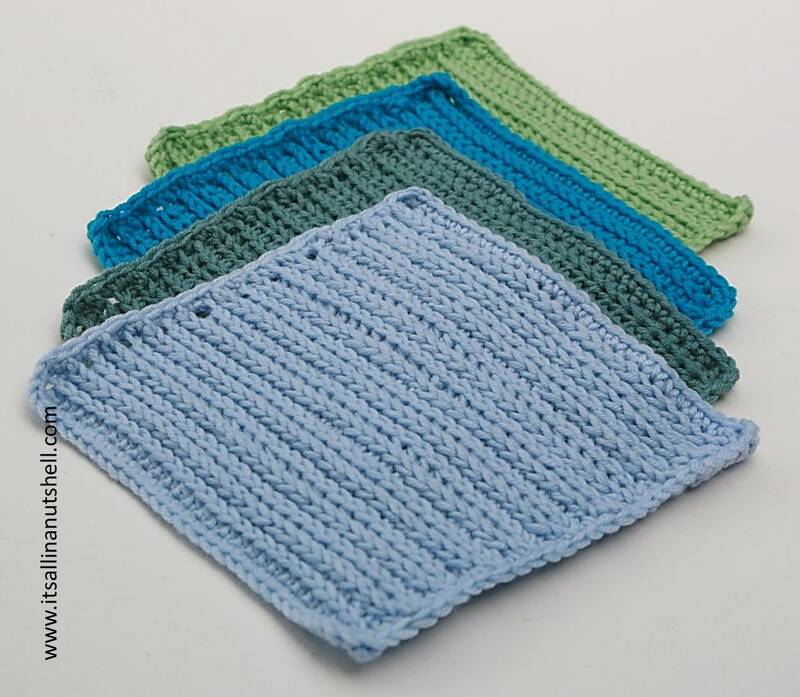 This means I used a 5.0mm hook for my Merino Soft squares and a 4.5mm for my Color Crafter squares. I must however make a small confession, I did not work the squares completely to the pattern. You need to work in the back-back or front-front loops; see the video for what I mean, but although the front-front loops are a breeze the back-back loops are a bit of a pain. Hence I substituted the back-back loop for the back loop. Worked like a charm! For those of you that are left handed I have the video for week 10 available in English and Dutch. There are also available on the English and Dutch video pages. Again, please note that the English videos use UK crochet terminology.